Reduce your costs and your footprint by sorting construction and demolition waste for recycling. 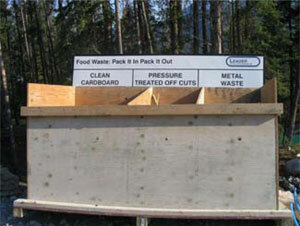 Use our simple 4-step How-To Guide (PDF) to plan your construction waste management. Waste that can't be recycled can be disposed of at the Francis Cooke Landfill near Exshaw or at the town's Transfer Site, 160 Hawk Ave.